From handmade, sentimental gifts to creative gifts for the whole family! Finding something unique or out-of-the-box for someone who seems to have everything can be a real challenge. But, don't stress if you haven't found the perfect gift for your loved ones yet! Shop TODAY is here to help. With the help of guests Chassie Post, Ryan Clarke and Lauren Goode, we've rounded up 40 of our favorite unique gifts for men, women, kids and families, so you can show your loved ones just how much you care. Whether you're sick of the generic gift card or are trying to come up with something truly creative, this list has ideas for everyone. Just scroll down to find the perfect unique gift. 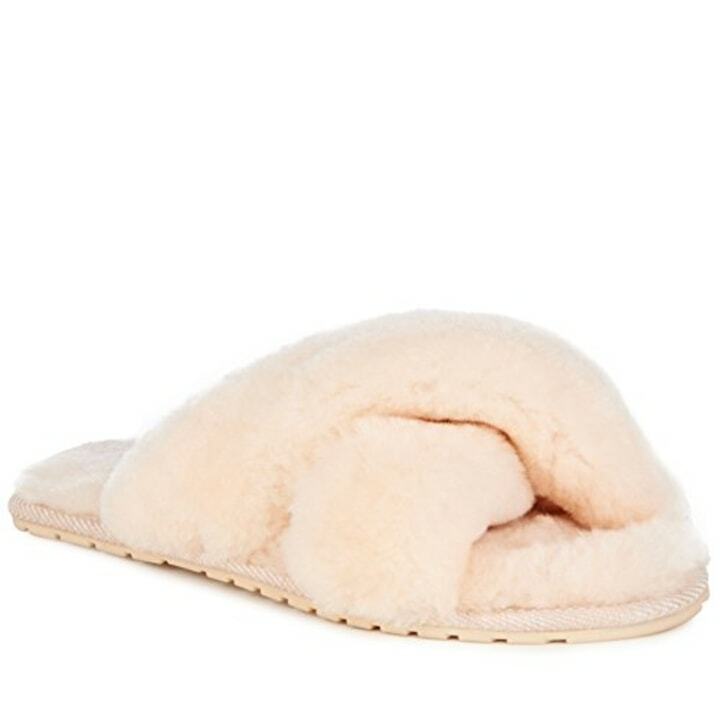 These sheepskin slippers are perfect for winter, and the material is naturally breathable, so no need to worry about them getting too hot during warmer months! The rubber sole makes it ideal for walking around outdoors, too. 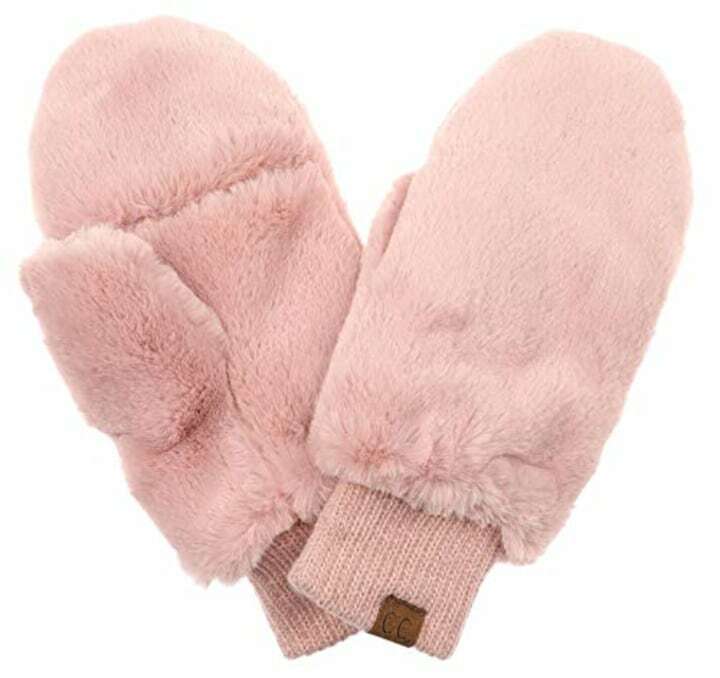 Keep your hands warm with these stylish mittens. You can flip the convertible cover down to expose your fingers and thumb and be able to use your hands. For the traveler that can't seem to bring just one necklace on any trip. This jewelry box by Parker Thatch is made of thick canvas material, and can be customized to say whatever you want! 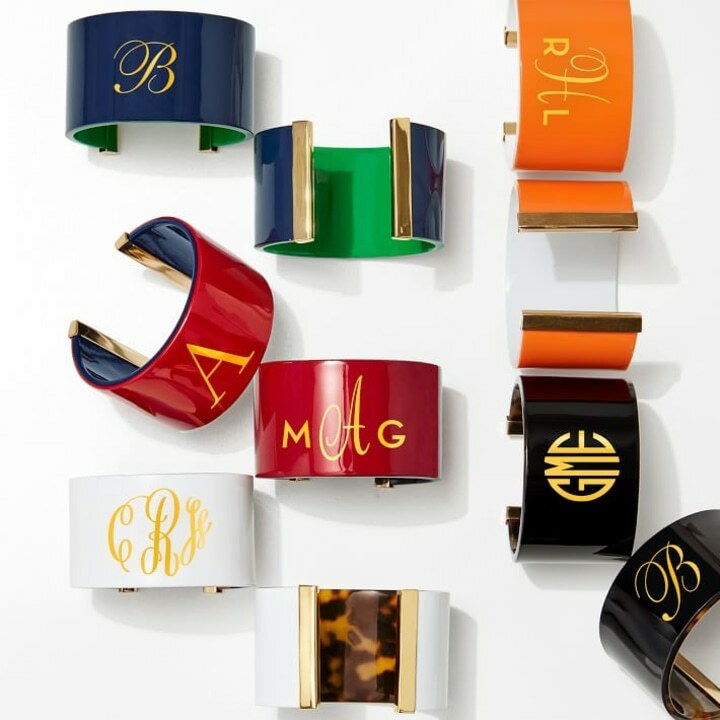 Scoop one up for your friend, or monogram it with your initials for handy storage. Wear this colorful statement piece with jeans and a tee. 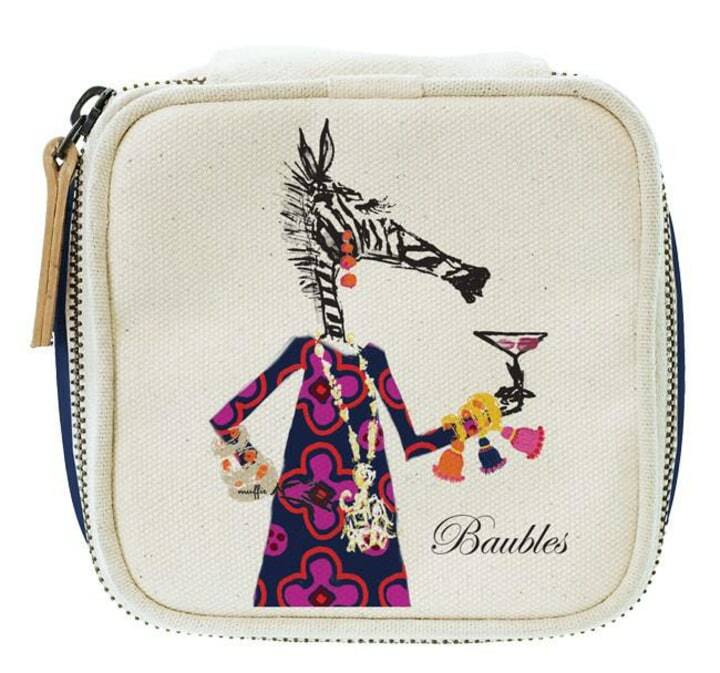 We love how easily it jazzes up an outfit. 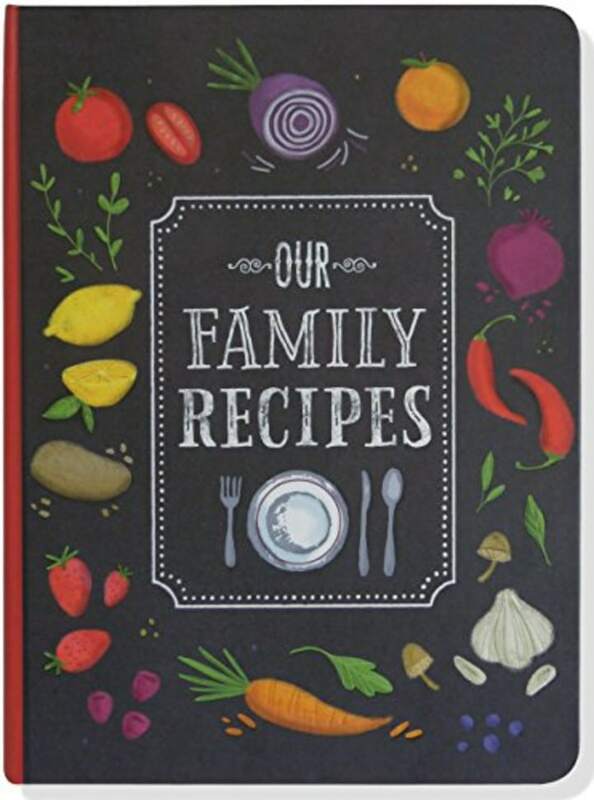 Collect all those recipes scribbled on scraps of paper into a one-of-a-kind cookbook for you or a loved one. 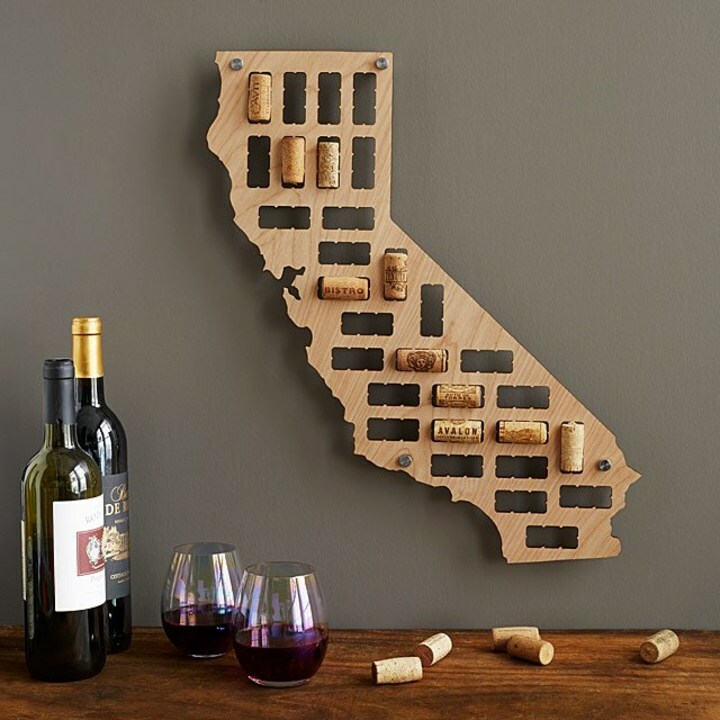 Almost every aspect of this gift is customizable, but they have themes available for the less design-savvy gift givers, too! This stainless steel canteen can keep cold drinks cold and hot drinks hot for hours thanks to its triple insulated stainless steel. 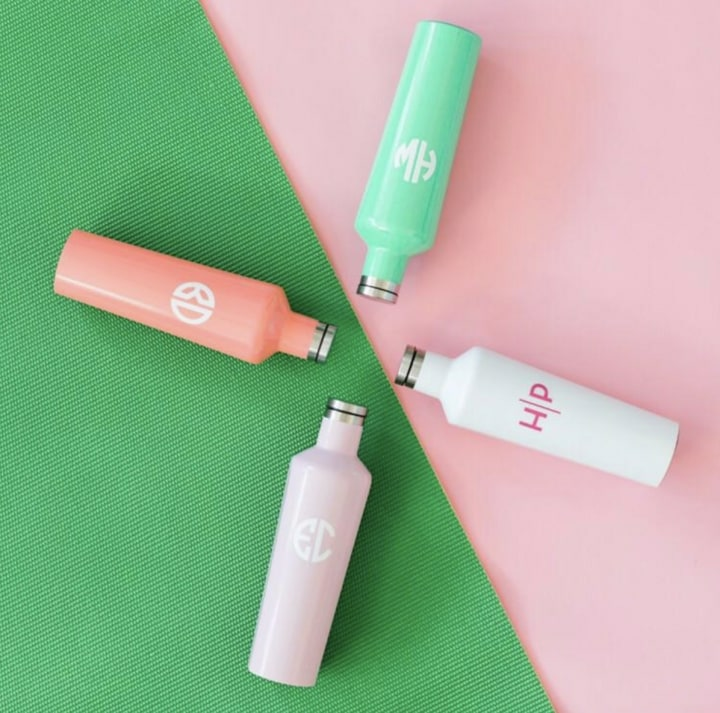 It's even big enough to fit a full bottle of wine and it can be monogrammed to add a personal touch! Everyone has that friend who can't get enough of "Friends." 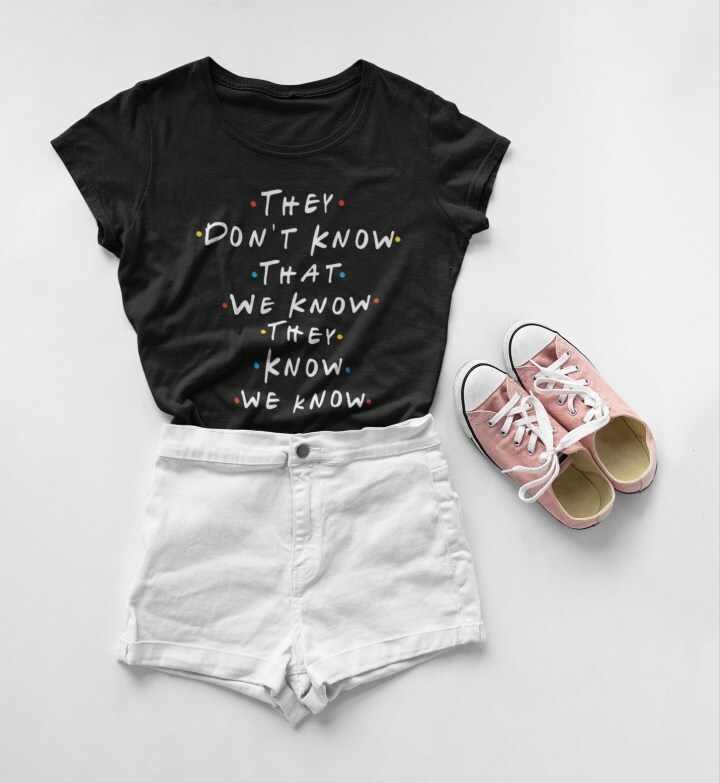 Nothing says "I'll be there for you" like this fun Phoebe quote. 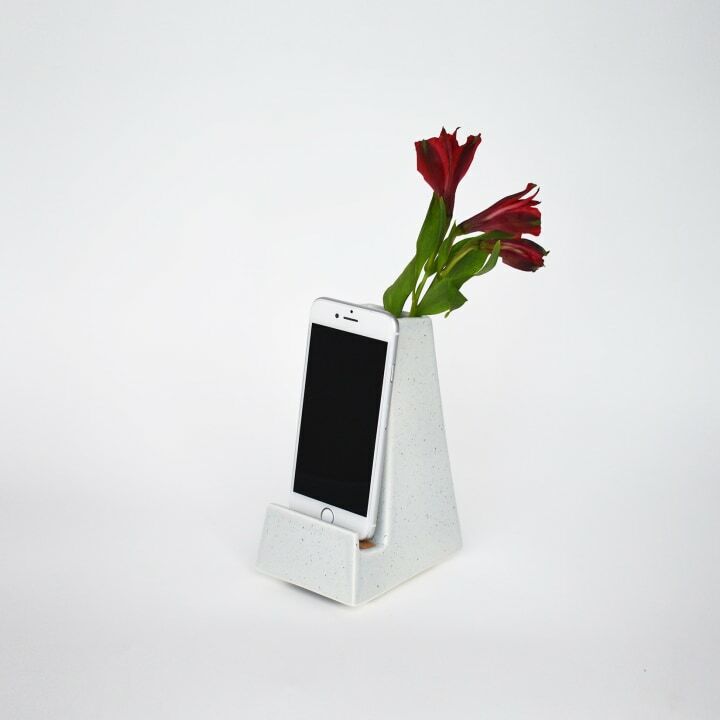 This combination of a phone stand and a vase would easily brighten up a desk or work area. 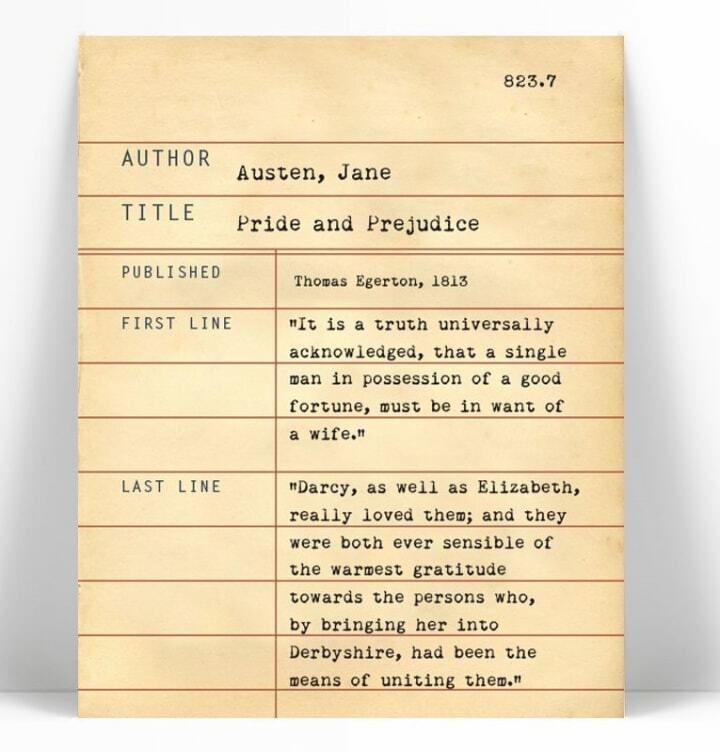 Perfect for bookworms, these classic library card prints, available for 74 different books released before 1923, contain the book's title, author, publisher, original publish date and first and last lines of the novel. 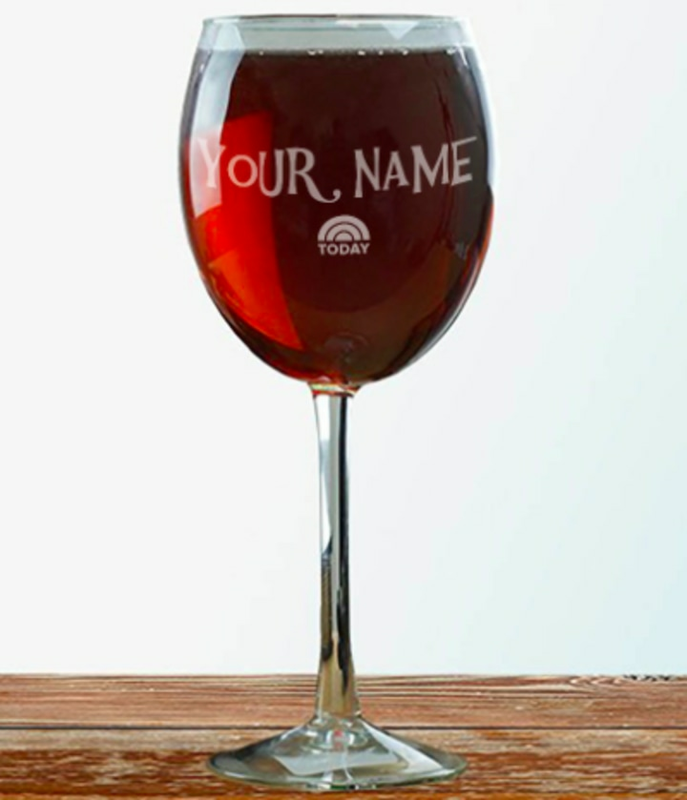 If she tends to enjoy a glass of wine after work, this personalized wine glass will make that moment extra special. This way, you'll never get your glasses confused at dinner parties again! 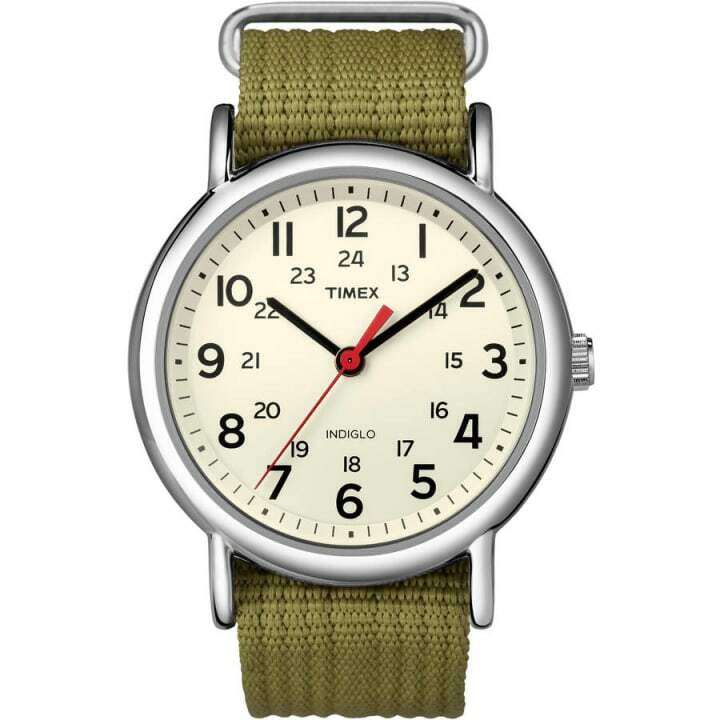 With more than ten different color combinations, this watch is perfect for nearly anyone on your gift list. We love that it's scratch resistant and set to have a 10 year battery life. Plus, the strap is easy to take off, giving you the option to switch colors or textures based on your style or mood. 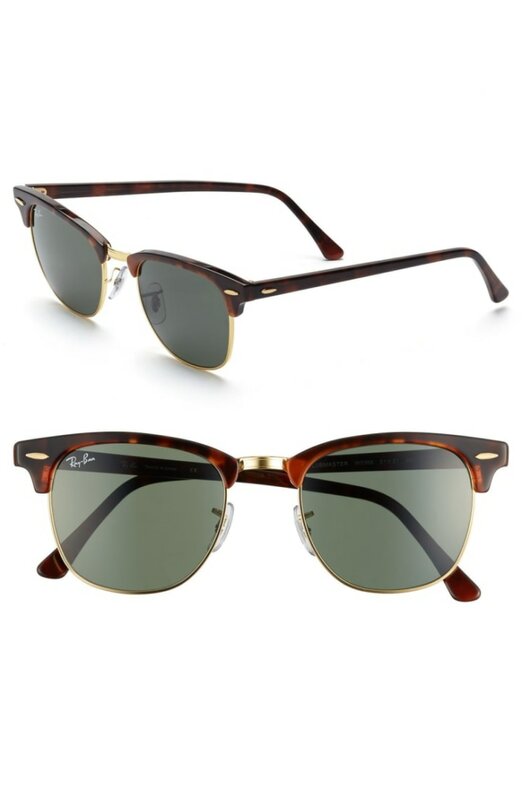 The iconic sunglasses brand released their classic silhouette glasses with partial metal rims and we couldn't be more thrilled. These add some edge to any outfit. 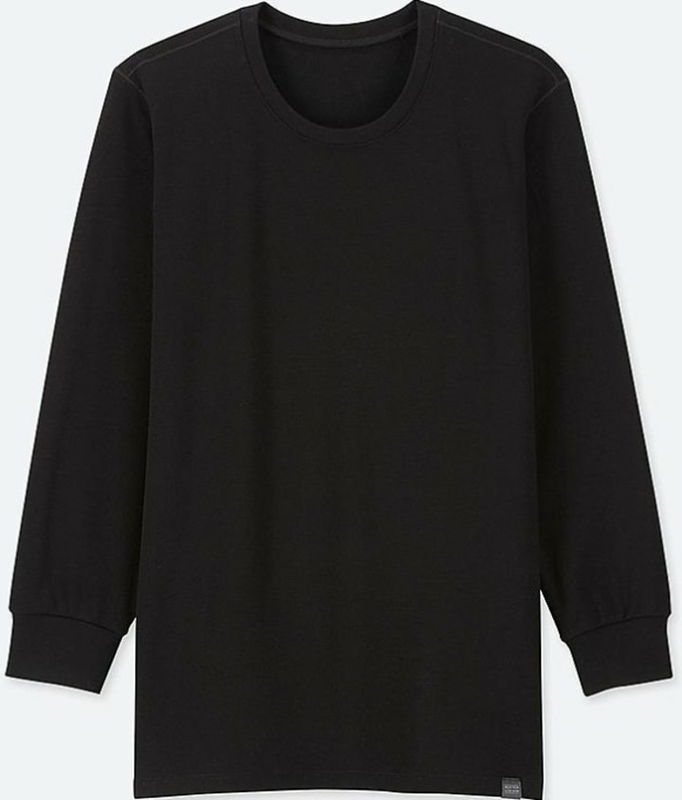 These long sleeves are cinched at the wrists, insulating and moisture-wicking. Plus, the company claims this shirt won't lose its shape — no matter how many washes it goes through. 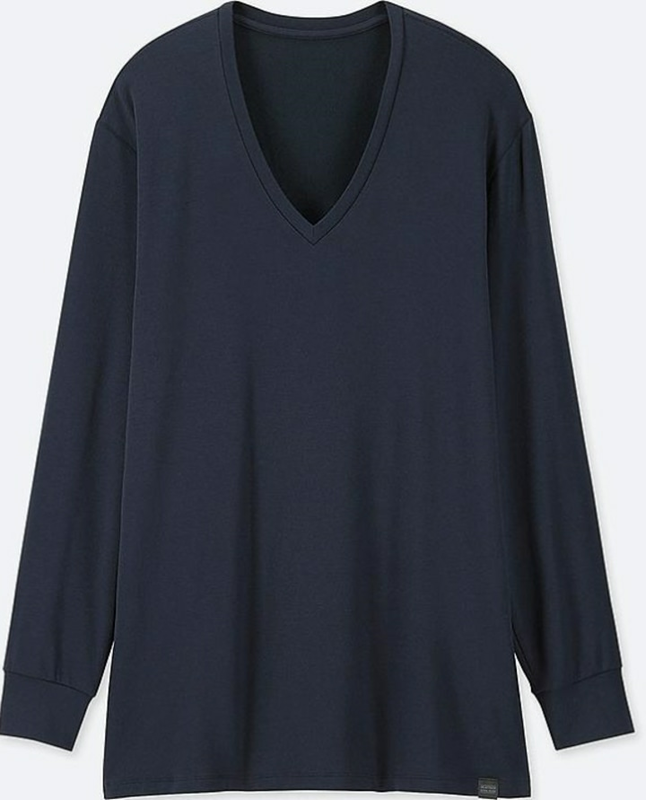 Or go with this v-neck version — it's great for layering underneath those bulky winter coats. 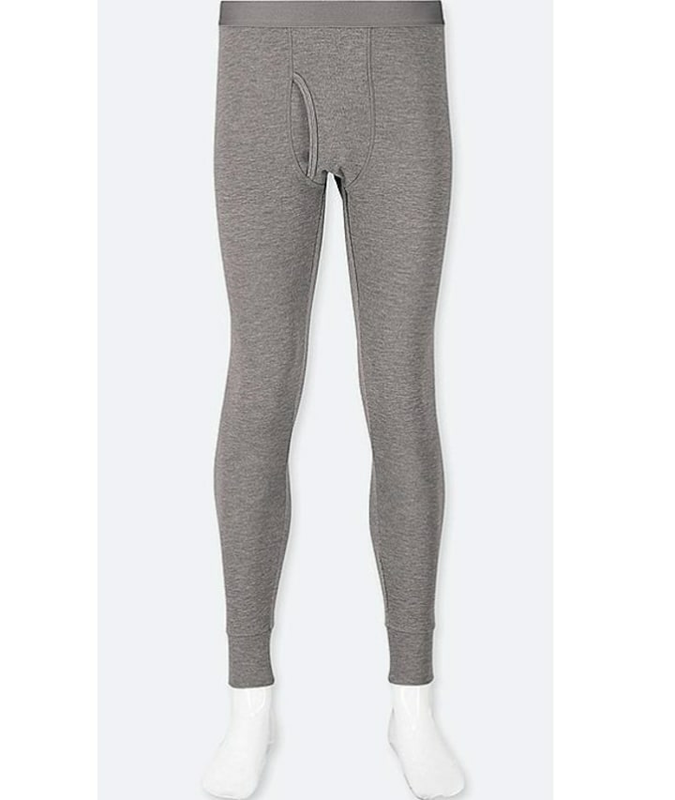 These are great for working out in colder climates, or just layering underneath jeans. Plus, they're also moisture-wicking. An all-in-one gift for the man (or men!) in your life. 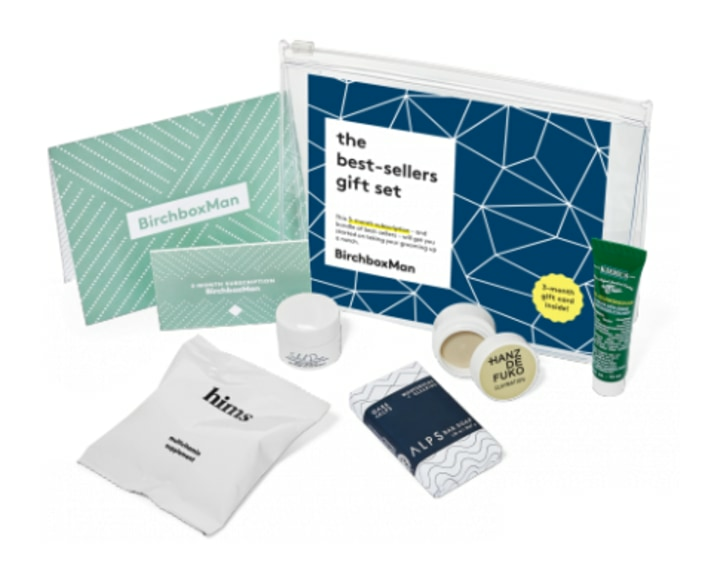 This six-month grooming subscription will send them great products in one conveniently curated box. 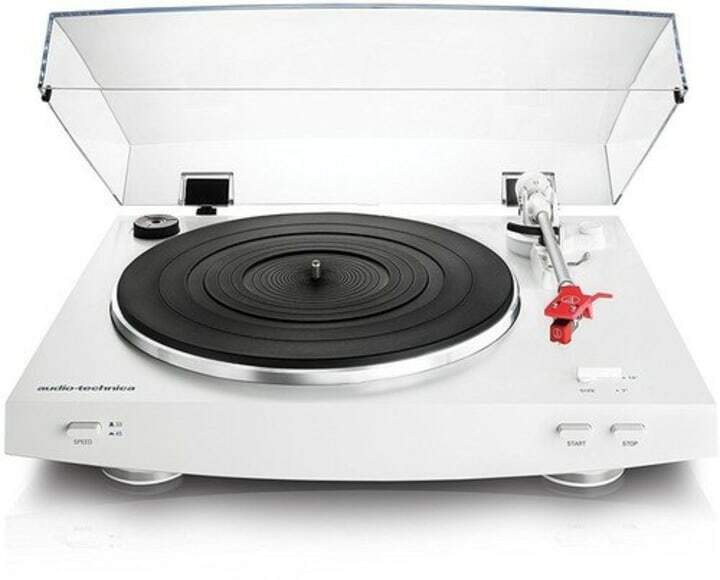 Even those with no record-playing experience will love this turntable! All you have to do is press the start button and the record player will automatically shift the needle and begin playing your favorite tunes. Brighten up his desk with this stylish monogrammed mouse pad. 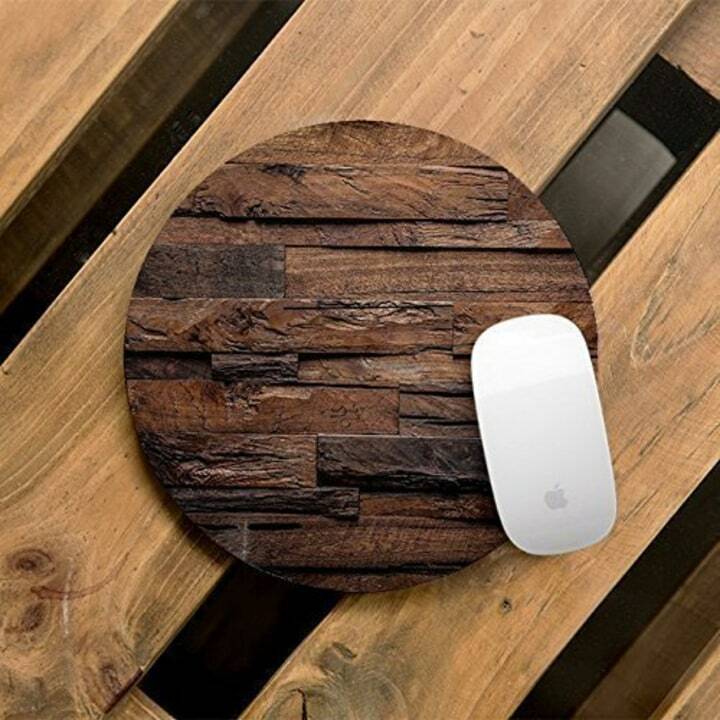 It is a woodsy complement to any home or office space. Is dad obsessed with ice cream? 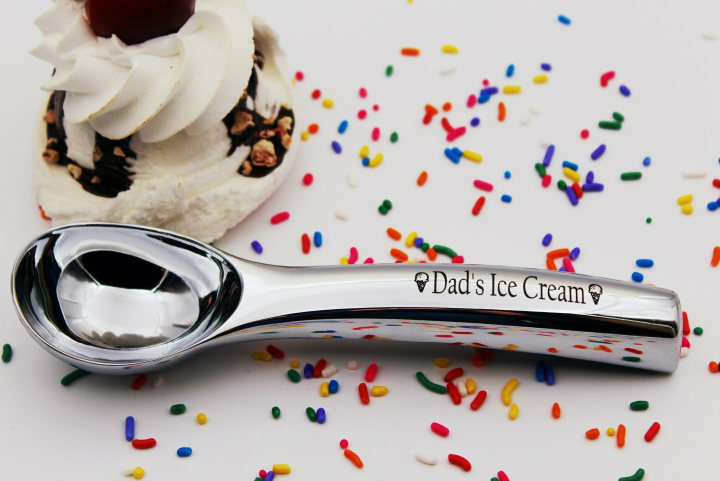 Get him his own ice cream scoop so everyone else knows that they can't touch his ice cream. 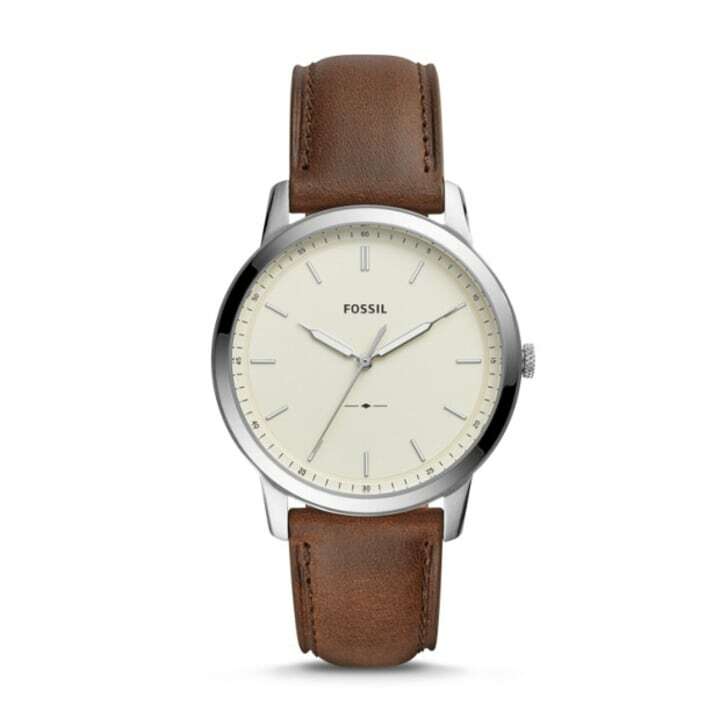 This leather banded watch is a great everyday item for any guy. Plus, you can have it engraved for free with up to 39 characters for a really special touch. Skip the hassle of searching for someone to fix your electronics by buying this kit! 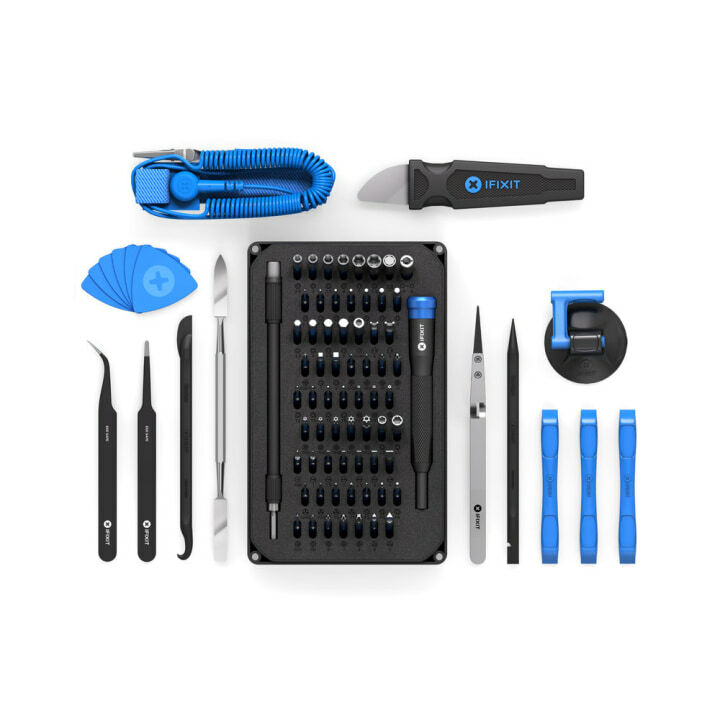 Use along with the thousands of repair guides available on iFixit.com to DIY problems on any of your favorite gadgets. The best part? This kit comes with a lifetime warranty. Hacking, commence! Remember all those times you were late because you had to ransack the house for your keys or cellphone? Say hello to your new best friend! 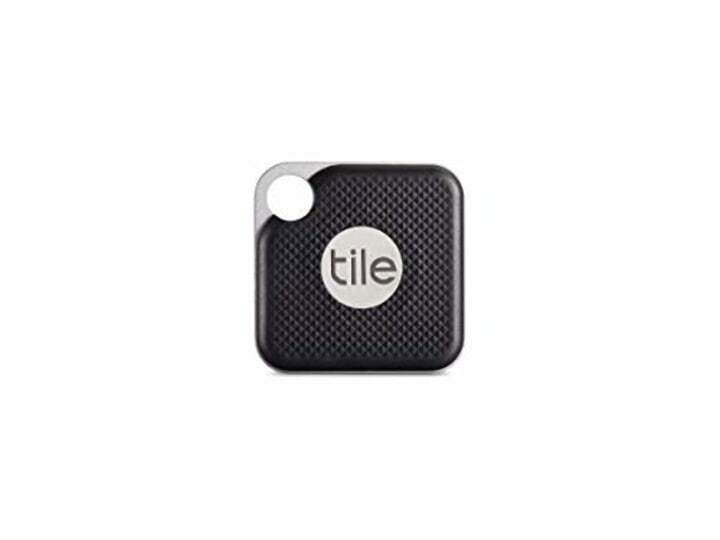 Just attach the tile to your wallet or key ring and you can use your smartphone to locate the missing item. 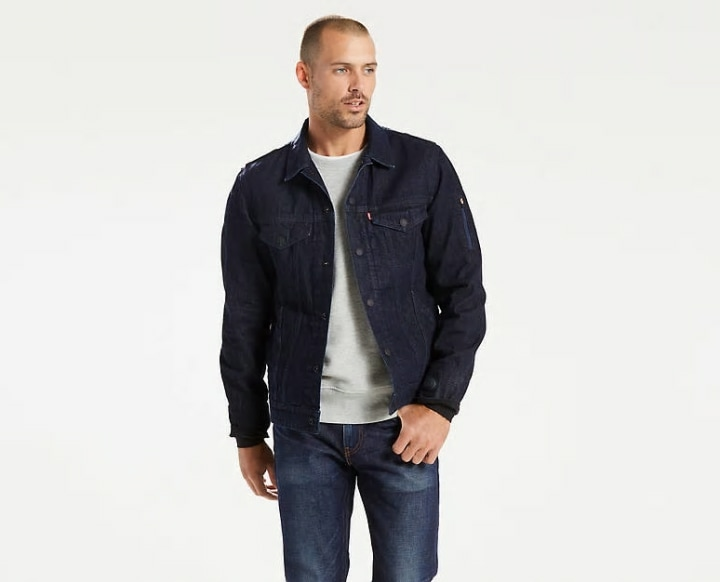 Google and Levi's teamed up to create one of our favorite innovations of the year. Yes, now you can fully control your music with your jacket (I know, we were just as shocked as you are). Connect your music via Bluetooth and control music, screen phone calls or get directions with just a few simple gestures. Commuting at its most convenient. 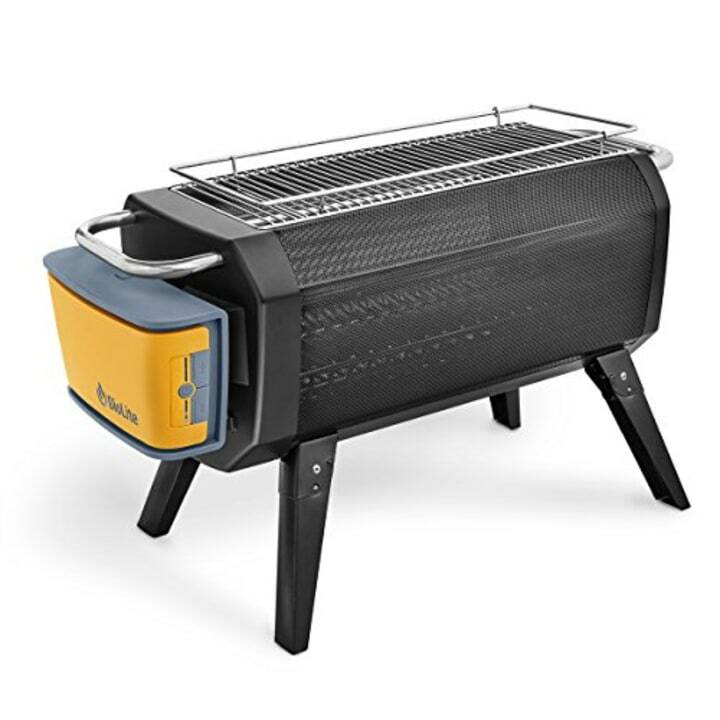 This smart fire pit can go from spark to fire in less than 30 seconds, according to the company, and the intensity of the flame can be controlled using a smartphone app. This takes roasting marshmallows to a whole new level! Smartphones are a breeding ground for bacteria and viruses. 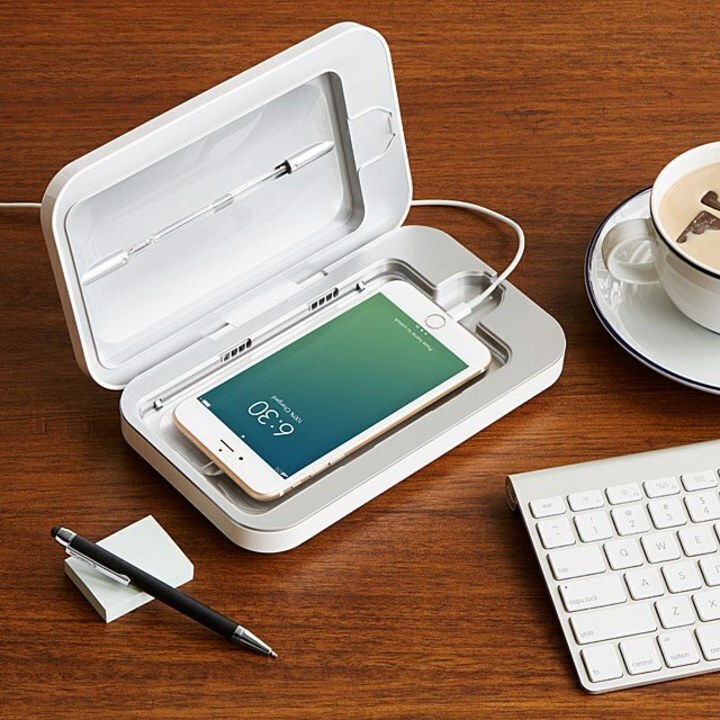 Simply place your phone inside, attach the charging cable, and close the lid. Inside, ultra-violet lights disinfect it. The case even has built-in acoustic amplifiers that can play music or the phone's alarm while it's being cleaned. Whether it's the bottle from your wedding or a family event, some wine corks are meant to be kept. 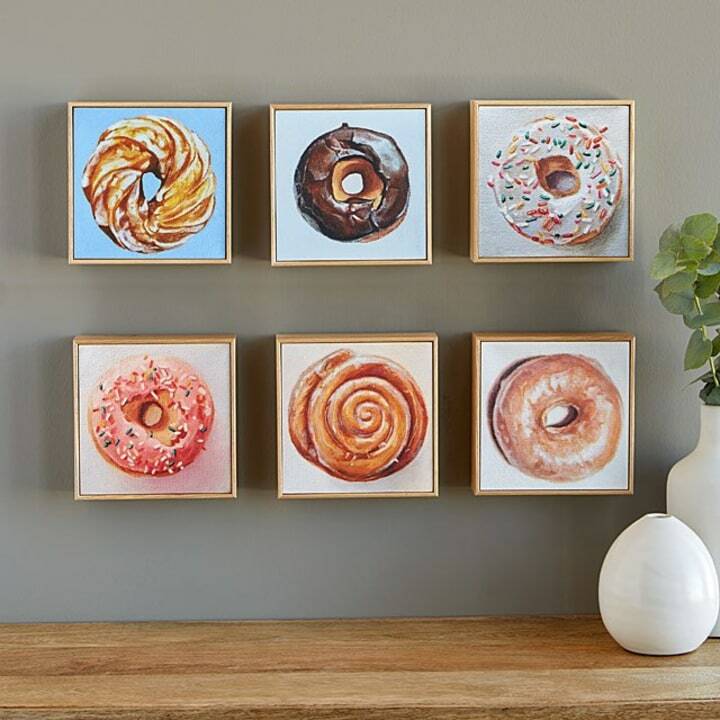 Instead of tossing them in an overflowing junk drawer, your loved ones can now display them in a state-shaped board that quickly becomes an art piece. Know someone who loves spice? 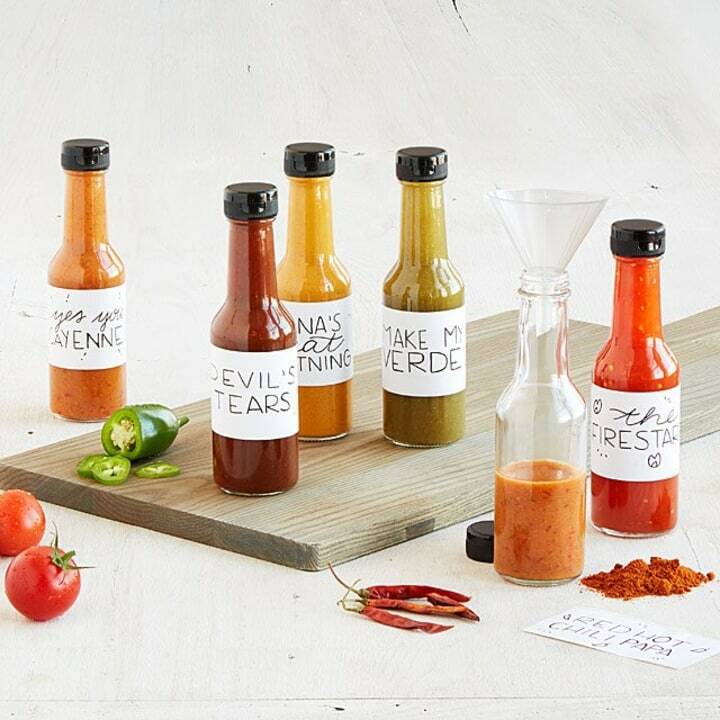 Let him kick it up a notch with this DIY hot sauce kit. All he has to do is combine the spices with the included peppers, vinegars and brown sugar to create his own ideal condiment. This is the genius invention that every woman wants, but doesn't know about yet. Hair ties may be the easiest way to throw your mane up on the go, but wearing them on your wrist isn't always a fashionable choice. 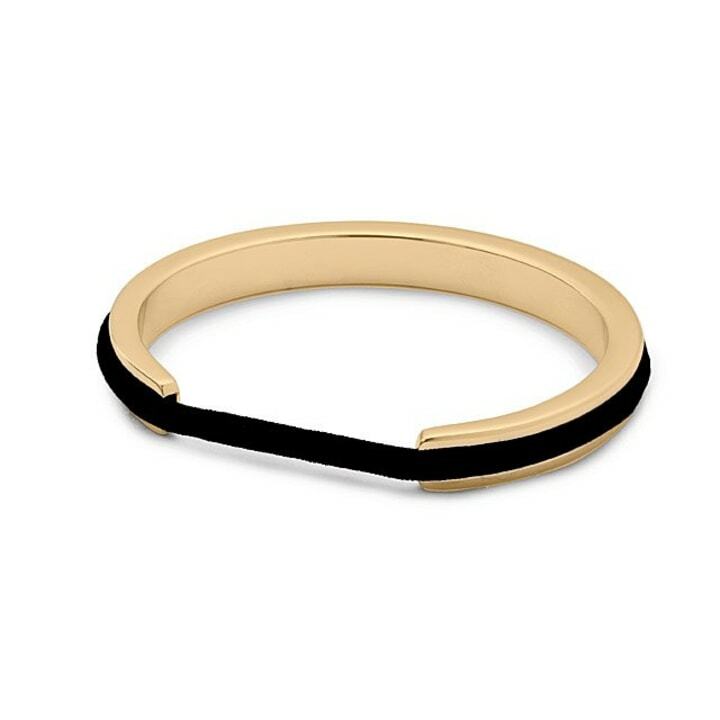 Not only does the bracelet provide an elegant solution, it also prevents the elastic from irritating her wrist. 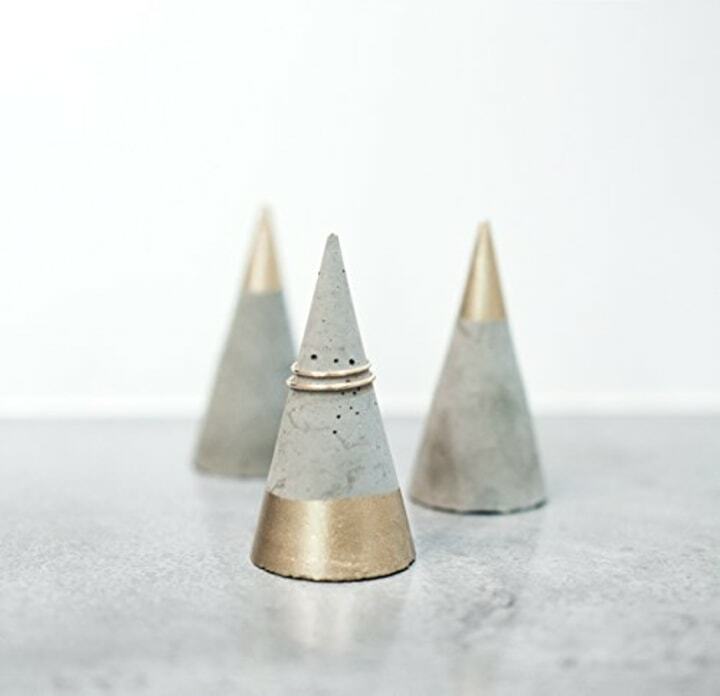 These metallic ring holders are the perfect accent on any nightstand or counter. Hand-poured, the concrete design keeps rings organized and safe without having to put them back in the box whenever you take them off. This gift is both visually appealing and educational. Not only do kids get excited because they get to see their name in bright colors, the puzzle also encourages them to learn to spell their name and helps them recognize what letters look like. Make the little one in your life feel special by putting them at the center of a book! 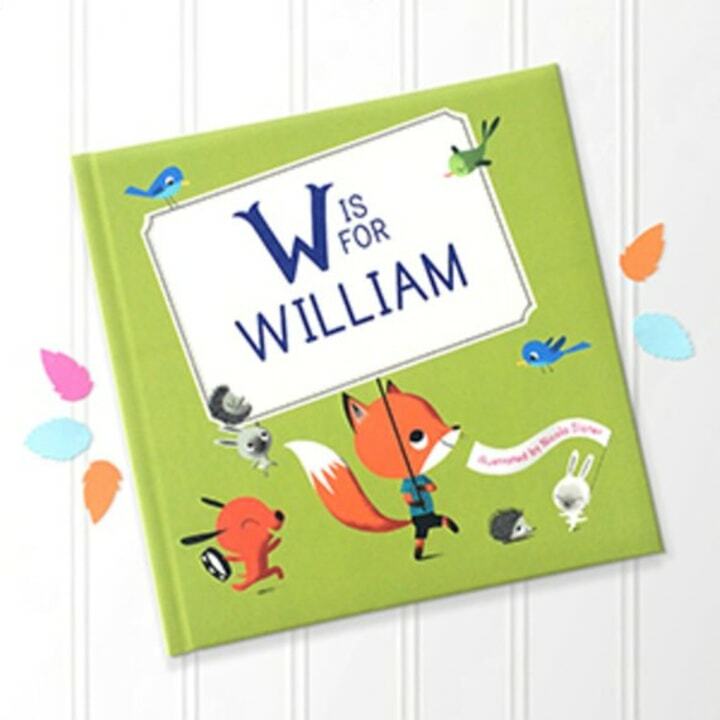 This personalized keepsake for kids encourages confidence while teaching the alphabet. Each letter stands for a positive characteristic, such as helpfulness, and the colorful illustrations depict what each quality means. With one reviewer calling them "heirloom quality," these organic rattles are the perfect size for little hands to explore. 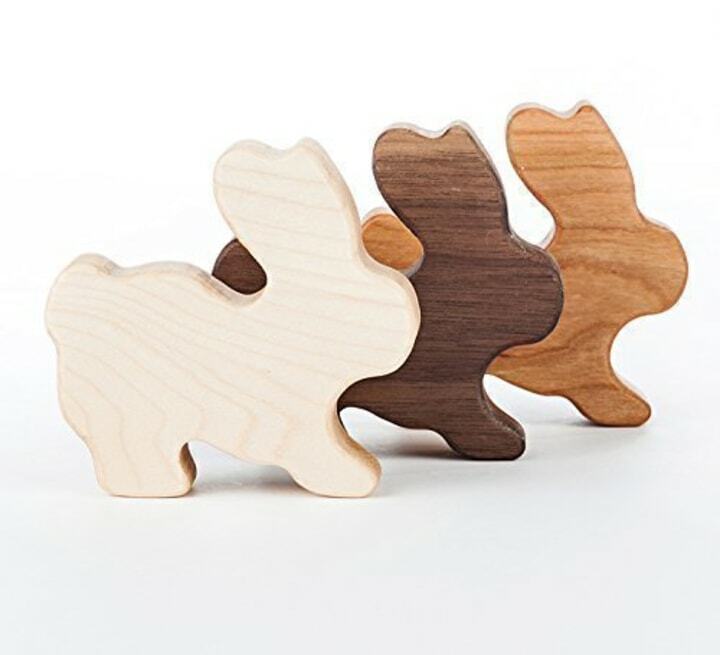 Choose between three different wood types (the brand recommends maple for teething babies) and add engraving for an extra $6. This print comes in 12 different varieties of the quintessential sweet. It would be perfect for a kid's bedroom or a playroom. With different, specific packs for families, teens, couples, foodies and more, each clear acrylic "ice cube" holds a stack of 135 conversation starters to get guests thinking and talking. 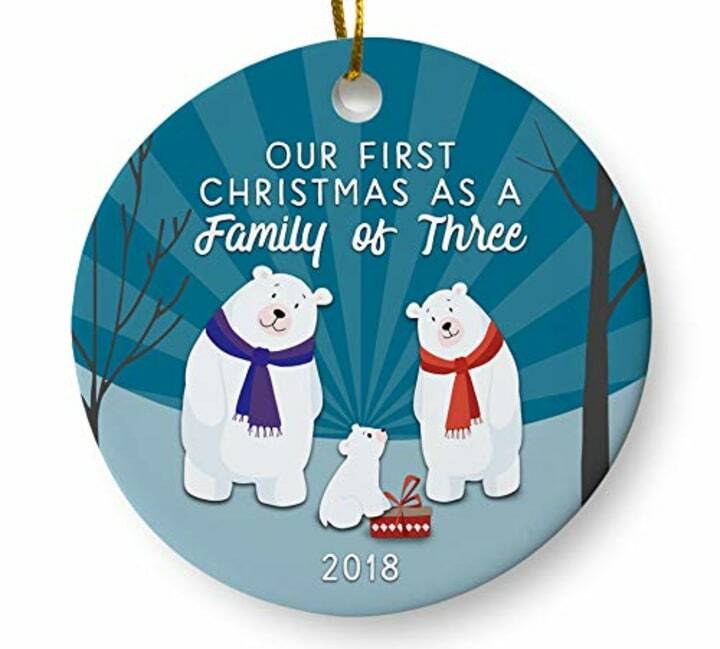 Make sure your loved ones remember their first Christmas with a baby by commemorating it with a sweet ornament they can hang on their tree for years to come. 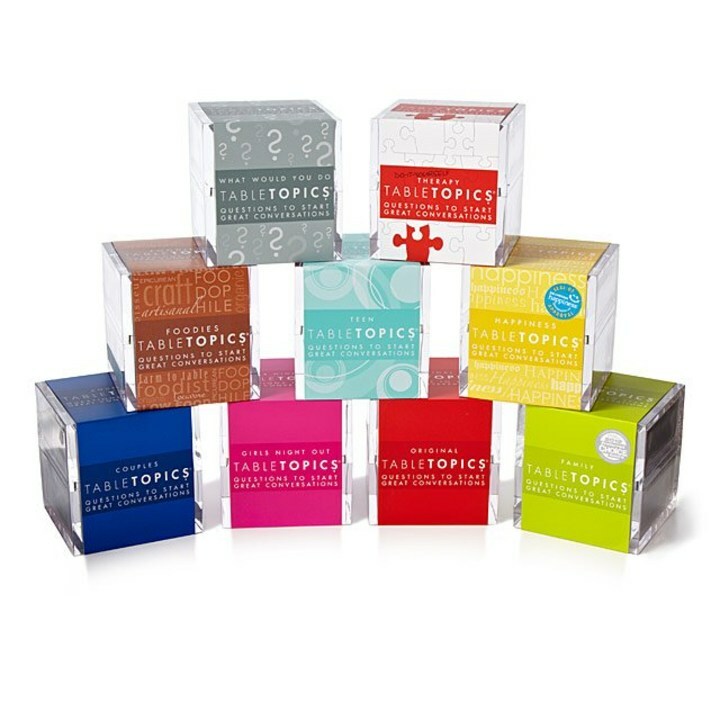 A puzzle is the perfect excuse to bring everyone together for some family fun without screens. 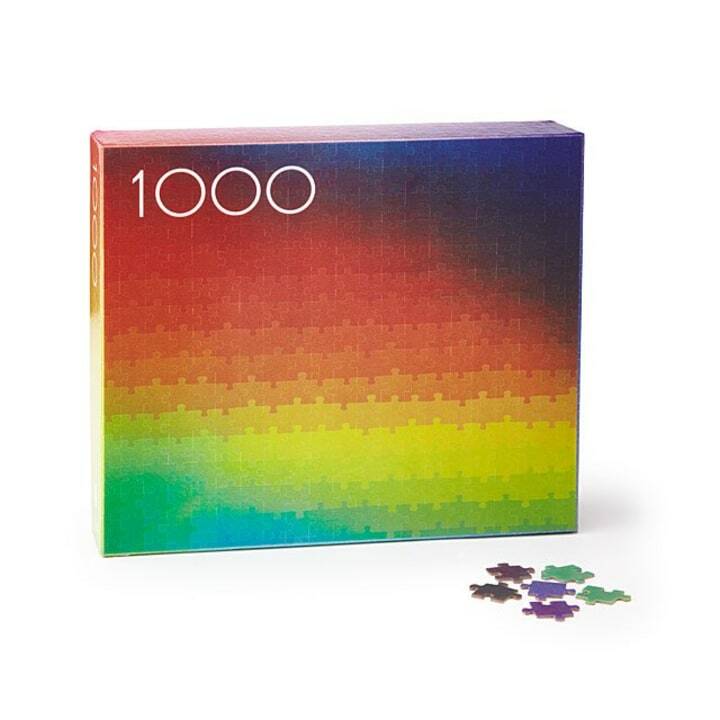 The 1000-piece gradient design and lack of details create a challenge even for serious puzzle lovers.